We have devised and created a variety of different events, including product launches, breakfast briefings, photo-calls, live events, salon shows, reader events, in-store customer product shows and many more. One of the more unusual events we have been asked to undertake is the Wheelie-Chix Chic launch fashion show. 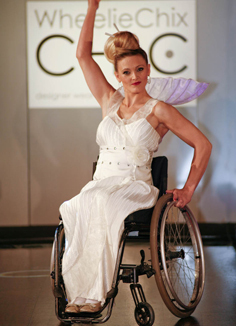 We worked with our associates and used X-Factor star Kerry MacGregor to create a central London, ticketed fashion show. The event sounds straight forward, but undertaking a fashion show to launch a brand for sassy women in wheel chairs, for consumers and the media at the Café Royal Regent Street with only one small lift has its challenges!